Dr. Laurie Richmond is an associate professor in the Department of Environmental Science & Management at HSU. She received her PhD in Fisheries, Wildlife, and Conservation Biology from the University of Minnesota in 2011. 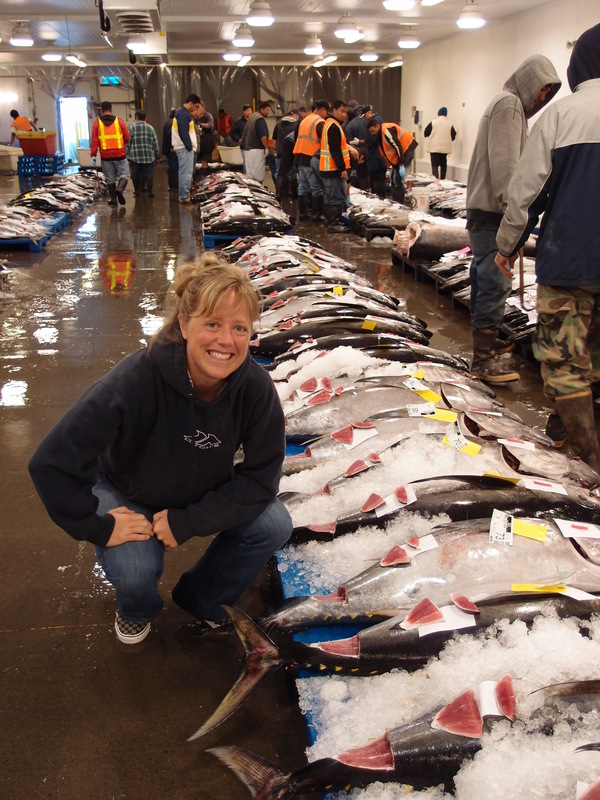 She then worked for two years as a social scientist for NOAA Fisheries. She has conducted human dimensions research in Alaska, Hawaii, Guam, the Commonwealth of the Northern Mariana Islands, and California. She is an avid surfer and fisherman. 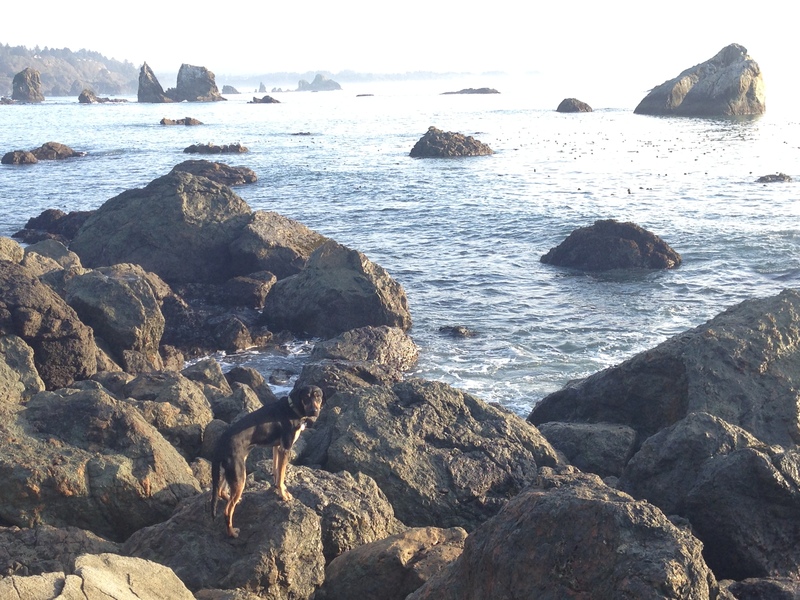 She loves exploring the rocky shores of the North Coast looking for waves, food, and vistas. I have been lucky en ough to have met Laurie Richmond in the RFP process of the MPA Baseline Monitoring of the North Coast. Then I worked with her doing outreach interviewing local fishermen on how they were effected by the MPAs of the North Coast. They had been directly effected not only by the implementation of MPAs, but the myriad of regulations placed on them over the last 30 years. Now I am excited to be involved with the Fishing Community Sustainability Project in Shelter Cove, CA. Through outreach efforts, we will help them determine what their port needs to continue fishing these grounds. We hope to reestablish a fishing association and support them to collaborate with other nearby ports. I feel this is integral to the future of the fishing community there, and to continue the fishing lifestyle that depends on fishing in this region. I have a BS in Oceanography from HSU and I am pursuing a MS in Environment and Natural Resource Science. My family and I live in Southern Humboldt and regularly fish and surf out of Shelter Cove. Rob is working on a project focused on sustainability planning for the City of Eureka’s fishing community. He is particularly interested in the mix of city and environmental planning that is found along urban waterfronts. Rob is a graduate of the Natural Resources Planning program at Humboldt State and currently works as an assistant planner for the City of Eureka’s Parks and Recreation Department. Rob is an experienced open water marathon swimmer and his favorite Humboldt Bay swims involve catching a big tide and cruising Eureka’s urban and industrial waterfront. Project: Assessing community knowledge & perceptions of flooding and sea-level rise in King Salmon, California. Relative sea-level is rising more quickly in Humboldt County than anywhere else on the U.S. West Coast, and King Salmon’s projections are the highest in Humboldt County. Kristina will conduct semi-structured interviews and public workshops with King Salmon residents and property owners to understand the community’s sense of place and attitudes towards sea level rise and potential adaptation strategies. She will also be assisting with a Humboldt County grant project to identify stakeholders who may be affected by sea-level rise and collaboratively develop adaptive strategies with these communities. Kristina received her B.A. in Psychology from Smith College in 2010. She has been involved with government grant management for eight years and currently serves as the Program Director for an economic development nonprofit on HSU’s campus. Project: The Socioeconomic feasibility and political climate of offshore wind energy production in Humboldt County, California. In conjunction with Dr. Richmond and Schatz Energy Research Center, Ciara will address the socioeconomic feasibility of offshore wind energy generation in Humboldt County. Ciara will use qualitative methods, including stakeholder interviews and participant observation, to discover and analyze stakeholder perceptions of offshore wind energy generation. She aims to discover the ways that perceived socioeconomic impacts, ownership paradigms, and governance relate to support for local renewable energy. She is an alumni of HSU with a B.A. in Political Science and a minor in Journalism. She is active in local and state politics, and is a former participant in the Sacramento Semester Internship Program sponsored by CSU Sacramento and the California Legislature. She enjoys coffee, reading, and her bullet journal. Research Interests: Understanding how knowledge systems from Indigenous perspectives can empower tribes to reclaim agency in self-governance and co-management decision making processes. What can Gwich’in Athabscans teach the world, through language and seasonal relationships, about boreal forest stewardship in Interior Alaska? Anthony is a member of the Piro-Manso-Tiwa Tribe of Guadalupe Pueblo and has ancestry in the Tiwa, Yaqui, and Ojibwe Nations. 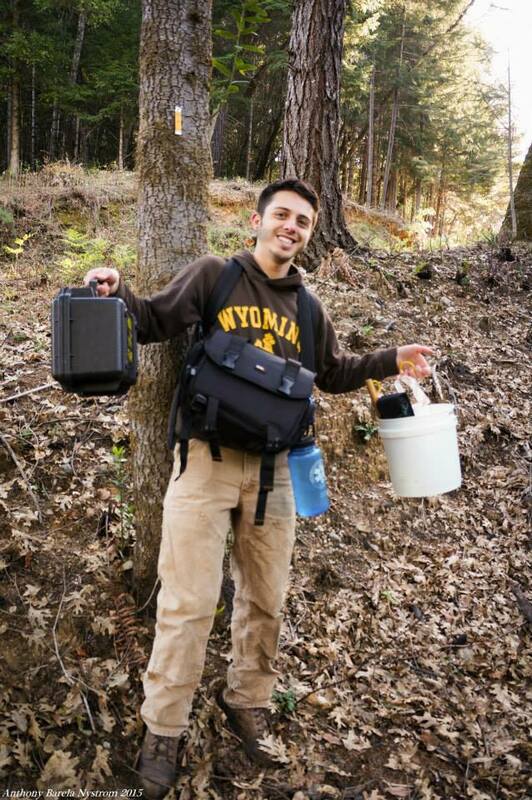 For their project, Anthony is working with the Yurok Tribe in northwestern California to conduct fire ecology and oral history research on a tree species called pepperwood (Umbellularia californica). This tree once provided a staple food in Yurok culture; however this species no longer produces peppernuts in historic quantities – perhaps due to fire suppression efforts over the past 150 years. With this research, the Yurok Tribe may adapt their cultural fire management practices to increase peppernut production and improve the ability of Yurok tribal members to reclaim traditional gathering activities. Anthony’s career goals are most heavily focused on restoring Indigenous land management practices in an effort to increase Tribal sovereignty over resources and allow for better management collaborations between Tribal and non-Tribal entities. Anthony believes this resurgence of Indigenous practices will help address many of today’s environmental issues. Anthony received the NSF Graduate Research Fellowship and the Switzer Fellowship to fund their research. Kara’s project combines oral history, archival research and document review, and participant observation methodologies in order to trace current and historic population trends of two culturally significant anadromous fish species of the Mad River Watershed; Pacific lamprey (Entonospenus tridentatus), or “eel”, and eulachon (Thaleichthys pacificus), or “candlefish”. More specifically, this human dimensions approach to natural resources management and fisheries research examines the subsistence-based fisheries that have existed as part of dynamic relationships between peoples, landscapes, and waters within traditional Wiyot Territories, identifying how these relationships have shaped and been shaped by one another over time as well as factors that have contributed to fisheries declines. Tara is an undergraduate student at Humboldt State University. She will be graduating in May 2018 with a Bachelor of Science. Her major is Environmental Science and Management with an emphasis in Planning and Policy. She was born in Colorado and moved to Northern California in 2008. 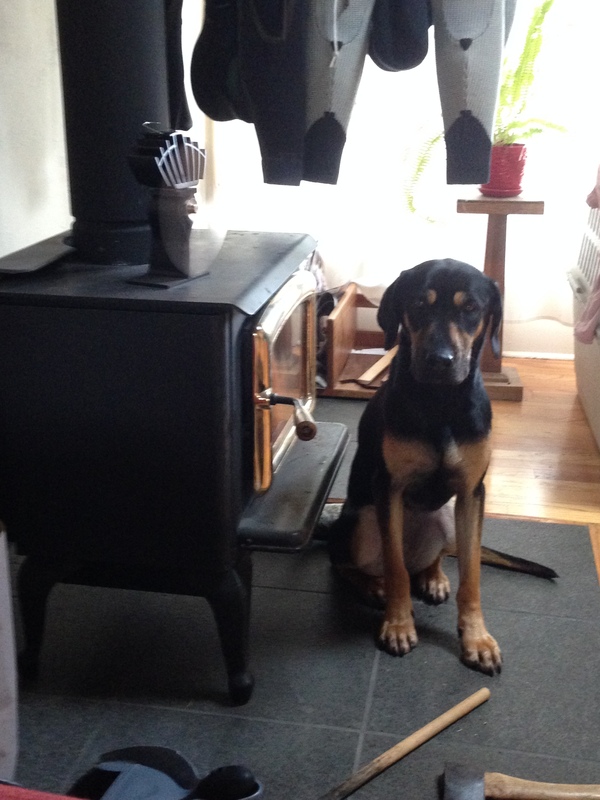 She currently resides in Eureka, CA with my four-year old son. She is also currently a planning intern for the City of Eureka. Dr. Laurie Richmond and Tara are collaborating to identify indices used to measure socioeconomic impacts of marine protected areas (MPAs). These indices will be incorporated into a literature review summary and a suggested socioeconomic monitoring plan for the state of California’s MPA network. Socioeconomic monitoring can assist in MPA adaptive management strategies. This work is funded by California Ocean Science Trust and conducted in collaboration with Ecotrust. Alyssa is an Environmental Science and Management major and Geospatial Analysis minor. Over the summer of 2017 she worked with Dr. Richmond and her graduate students on the Fishing Community Sustainability Planning project. Her objective was to assess the impacts of sea level rise (SLR) on Humboldt Bay’s culturally and economically important waterfront infrastructure, particularly those of interest to the Wiyot Tribe and Eureka fishing community. The summer research was funded through the HSU rroulou’sik Native REU program. Her research interests include using Geographic Information Systems (GIS) technology as a tool to understand landscape changes, such as urban development, and the impact it has on underrepresented, minority populations. Alyssa presented her research at the American Indian Science and Engineering Society (AISES) meeting in Denver in September 2017. Alyssa plans to attend graduate school in the future and pursue a degree in Urban and Regional Planning. Michelle Dowling is a research assistant for the project to develop Fishing Community Sustainability Plans for the ports of Eureka and Shelter Cove. She focuses on sustainability planning and mariculture socioeconomics. She graduated from HSU in 2015 with a degree in Political Science and a minor in Environmental Policy. She is currently working on her Masters in Public Administration through Penn State World Campus. Where are they now? Working as a research assistant at San Diego State University on a project collecting local ecological knowledge from commercial fishermen. 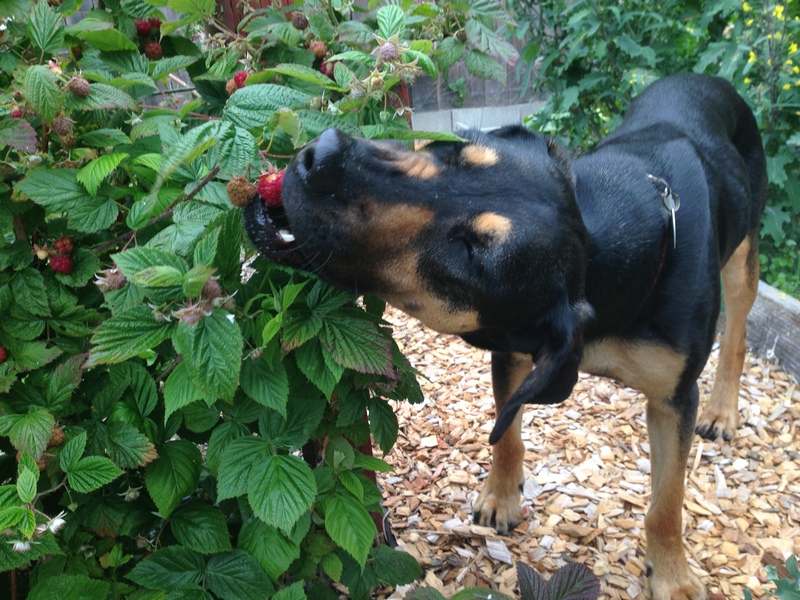 berries and fruits off the tree, stealing other people’s lunches, running on the beach, lying the sun, and lounging by the wood stove. She is named after a local river – one of the most beautiful in the world.